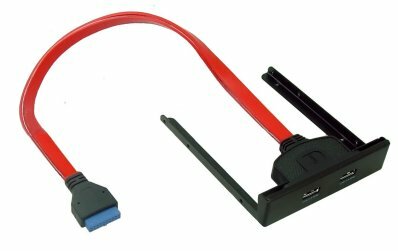 This USB 3.0 Front Panel Kit can be installed into a free 3.5 bay of your computer. This front panel connect to USB 3.0 20 pin connector on your mother board or PCIE adapter cards with this connector as well. You can connect different USB devices like Docking Station, Card Reader, external enclosure etc. from this front panel.